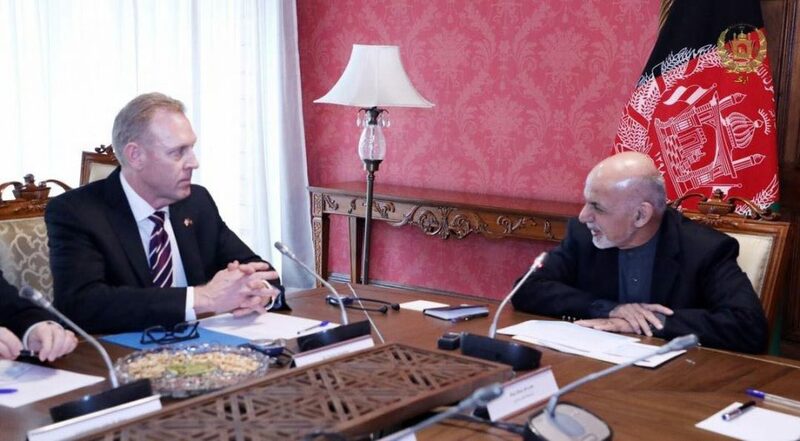 KABUL: President Mohammad Ashraf Ghani has received US acting defense secretary Patrick Shanahan. In the meeting held yesterday at presidential palace, President Ghani said that US strategy for Afghanistan and South Asia has had good results, but destroying safe havens of armed individuals in neighboring country that has been strategic goal have not been achieved so far. Both sides asserted that maintaining of lasting peace, peace process and counter terrorism would continue and military partnership between Afghanistan and US would continue till maintaining peace in the country. It was also recalled in the meeting that national peace consultative Jirga would be soon held in Kabul and would be attended by representatives of various classes and all provinces so that they could consult and express views in connection with various phases of peace. In the meantime, after the Jirga, the 3rd meeting of Kabul Process will be held and its main focus will be on peace process.